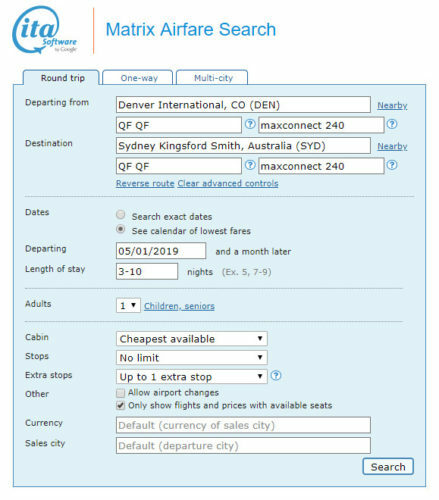 ITA will show prices of $586 while Priceline will price the same fares at $552. 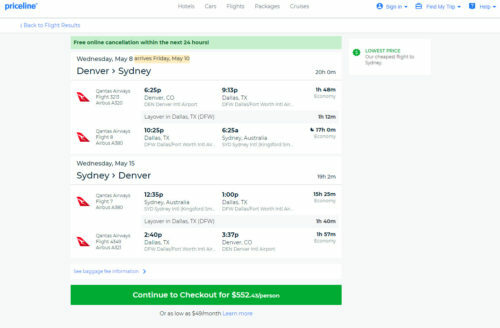 Valid for travel from May 2019 – early-June 2019 and from September 2019 – early-October 2019. Must purchase at least 3 days in advance of departure. 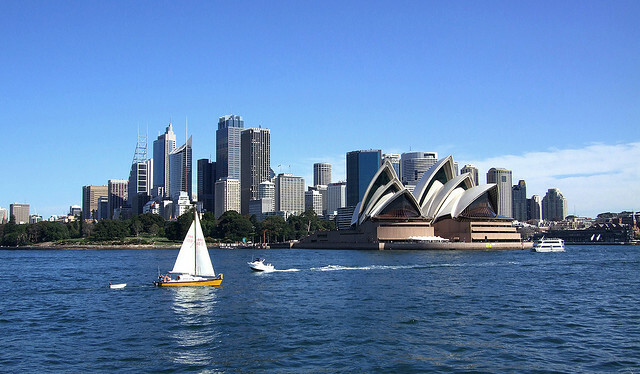 Qantas is a member of Oneworld Alliance and an American partner. Mileage earning with American is below.